Making a sale or turning a prospect into a customer is all about timing. Prospects as well as current customers who are contacted at the wrong times either do not need your company’s products and services or, even worse, are annoyed at needlessly persistent sales people. Contact history databases for customer relationship management (CRM) software by Dynamic Digital Advertising (DDA) increase the effectiveness of sales teams by allowing for the recording, managing, and reviewing of contact histories. This customer relationship management application allows sales representatives to plan the best time and method for contacting the person in the future. The result is a customer who feels his or her needs are being predetermined and met with care and consideration by your company. Call Dynamic Digital Advertising for the CRM solutions that help your sales team meet the needs of customers at the right times. The result will be higher levels of productivity and customer satisfaction. When was the last contact made? Sales representatives can double-check the date and time of the last contacts made with a lead or a current customer as well as what became of that lead. Dynamic Digital Advertising custom programs this feature to best fit the needs of sales representatives and additionally programs administrative logins. These administrative logins allow managers to monitor the productivity of each sales representative and improve any weaknesses in the contact cycle. Some contacts have emails that they never check; others prefer to be called on their work or cell phones as opposed to their home phones. Maintaining healthy and productive customer relationships requires that you use the preferred contact method. DDA programs contact history as a comprehensive database that states what method was used to contact a lead or a current customer as well as how the person responded to being contacted by that method. Additionally, a running database of the when the person prefers to be contacted can be included. How did the person respond? Was the person annoyed? Or was he or she delighted with the chance to respond? Maintaining a record of the reaction of the contact either confirms that a person wants to be contacted by your sales team or provides valuable feedback. Documenting the reactions of people who are annoyed, angry, upset, and more allows your company to find ways to improve products, services, and customer interaction. Dynamic Digital Advertising’s CRM technology allows sales reps and administrators to see what improvements have been made. When should the person be contacted next? Sales people may talk to hundreds of contacts everyday. This DDA-programmed CRM database allows a sales rep to record the date and time when they should contact a person again. As an added bonus, reminder emails or highlighted icons on a calendar are generated to make sure that communication occurs at the best possible times for each prospect or customer. Whether you need to provide a new employee with comprehensive contact information or enhance the effectiveness of a current rep, Dynamic Digital Advertising has a CRM software solution for you. Call now to learn DDA’s CRM development capabilities and more. Since 1994, Dynamic Digital Advertising has provided clients with comprehensive business solutions for marketing to customers and potential customers. Customer Relationship Management software is only a small component of what DDA does for businesses today: DDA offers everything from custom website design and development for Intranet, Extranet, and Internet to graphic design. 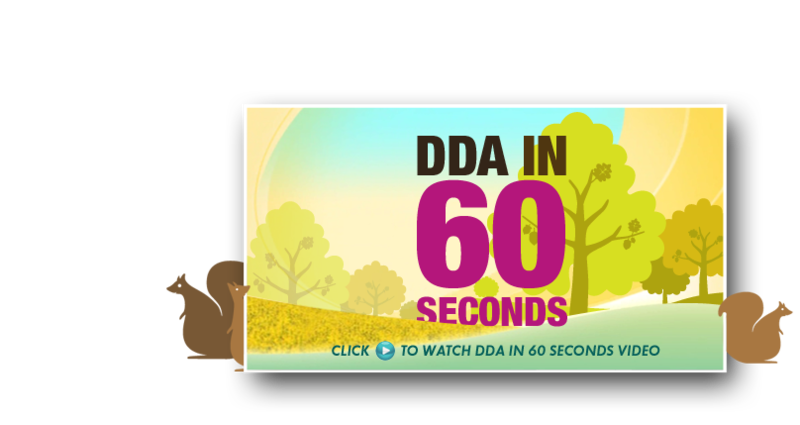 Based outside of Philadelphia, Pennsylvania, DDA serves an extensive client base from New York (NY), New Jersey (NJ), Pennsylvania (PA), Delaware (DE), Maryland (MD), and Washington D.C. to the whole of the United States. A major custom website company serving clients based anywhere in the United States, Dynamic Digital Advertising provides companies a better method of benefiting from the online marketplace: a professional website design process of fourteen proprietary steps. Each of these steps has been outfitted to accomplish one of two goals: earn the highest possible rankings on top search engines such as Google, Yahoo, and MSN, or convert a significant percentage of the targeted website visitors into customers, investors, or partners. With the DDAs professional website design process strengthening your website, you are sure to reap the benefits of a powerful, Internet-based business. In addition to programming effective and aesthetic CRM systems, Dynamic Digital Advertising provides many companies with the benefits of one of the most comprehensive graphic design service offerings in the United States. These graphic design services are excellent agents for creating the informational and marketing media that companies need to influence potential customers as well as business partners. Whether your business needs a trade show graphic design or large format truck side graphic, Dynamic Digital Advertising can provide the services that meet your needs and exceed your expectations.